EXCLUSIVE AT NET-A-PORTER. 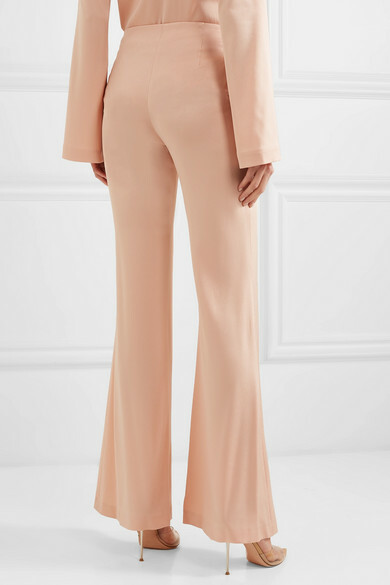 Galvan describes these pants as "eveningwear at its most versatile" and they're perfect if you love wearing separates for events. 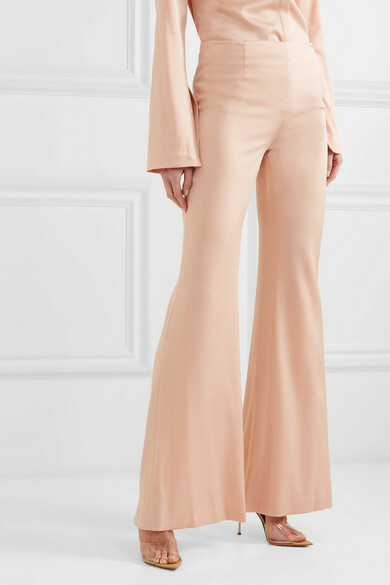 Cut from fluid satin-backed crepe, they're designed to sit high on the waist and fall to exaggerated but elegantly proportioned flared cuffs. Color coordination is essential when it comes to styling, so don't hesitate to invest in the matching shirt and coat. 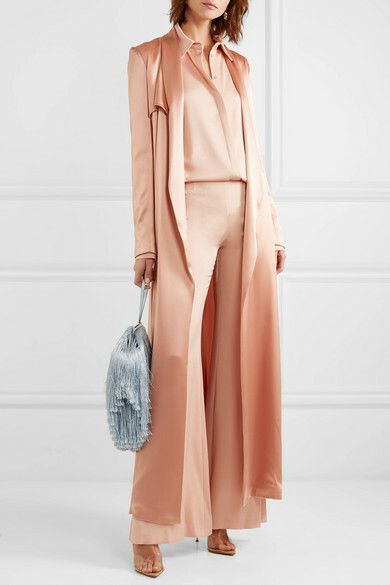 Shown here with: Galvan Trench coat, Hillier Bartley Clutch, Gianvito Rossi Sandals, Sophie Buhai Earrings.